I wondered of anyone got a picture of this or a film of this. If they did they should send it in to TSSAA even though they probably wouldn't do anything about it. Where is the other one. I don’t see it. Okay. So far so good for the teams from Memphis. All AAA final tomorrow. Games played Thursday 3-15-2018 1:15 pm Hamilton (33-2) vs Whites Creek (21-12) 2:45 pm Livingston Academy (25-9) vs Alcoa (22-10) 4:30 pm Jackson South Side (21-8) vs Knoxville Fulton (23-8) 6:00 pm Stratford (24-6) vs Tyner (20-10) So since the brackets are out who does everyone have now. 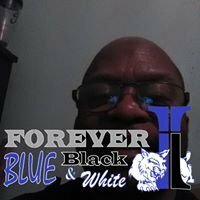 I know the brackets won't be out until tomorrow (3-6-2018) Here is who made it Alcoa Fulton Tyner Academy Livingston Academy Stratford Whites Creek Jackson Southside Who does everyone have of winning this class? Any word on of they named the head coach. any word on who might have applied or have they hired anyone yet.